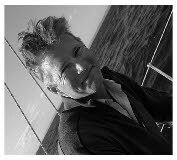 My aim is to provide experiences and courses that give people the courage to pursue their sailing dreams. In my view this courage must be based on a blend of confidence, capability, experience, and a positive attitude. The key to a long and happy sailing life is to be able to plan ahead and at the same time react to unpredictable events. My courses are less about pass or fail and more about improving your skills and knowledge. The goal is to have more fun on the water, while being safer and more efficient as a boat user. This site lays out the courses I offer, which are a mixture of RYA courses, resulting in Completion Certificates; and programmes that I put together to help people with their individual issues such as setting up and getting used to a new boat, or moving their boat for the start of a Summer trip, or even developing roles amongst the crew for smoother more harmonious sailing. If you don’t find what you specifically need, get in touch.